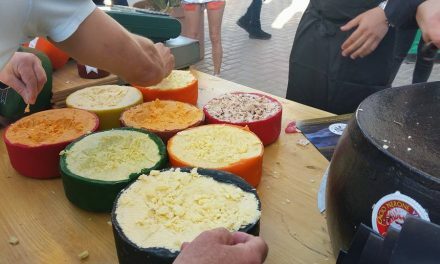 Hi explorers, what a nice feast I found for you, ins’t it? 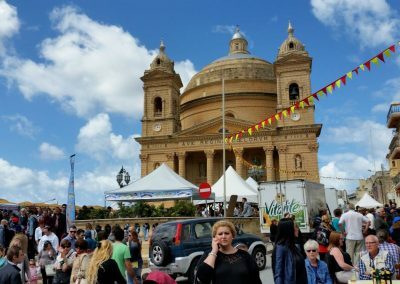 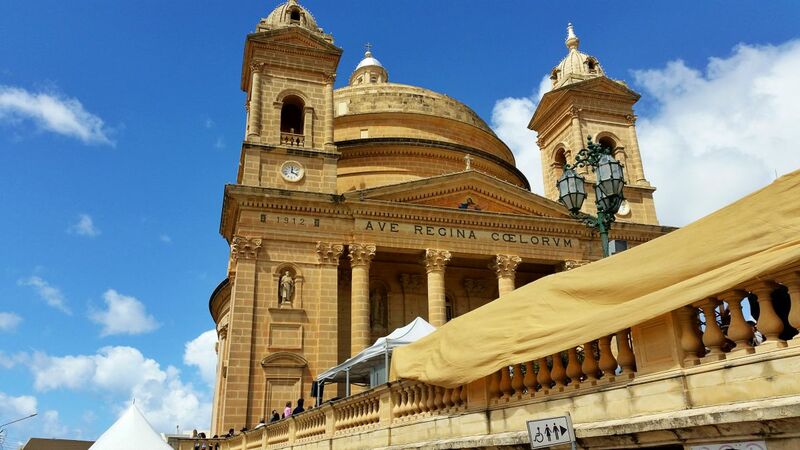 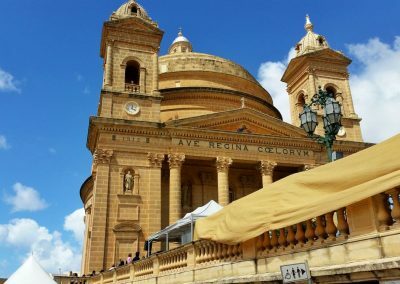 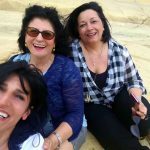 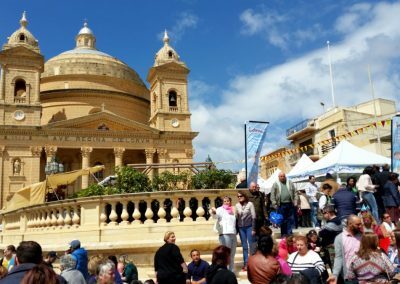 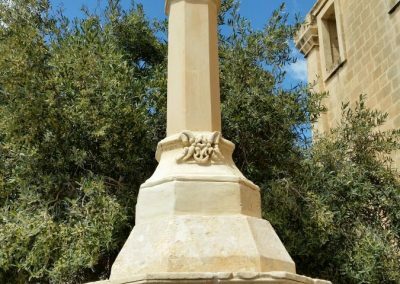 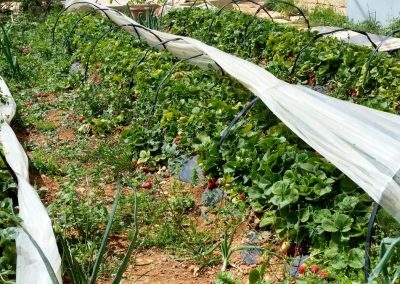 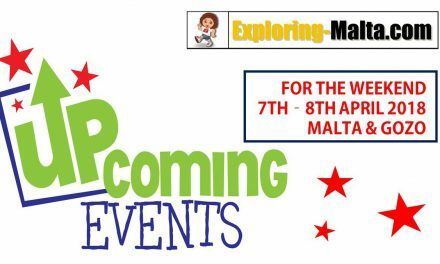 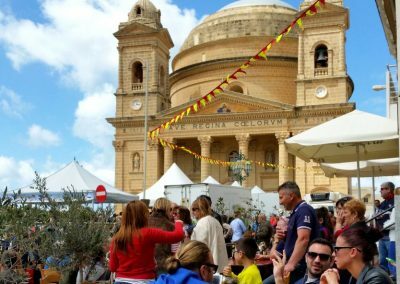 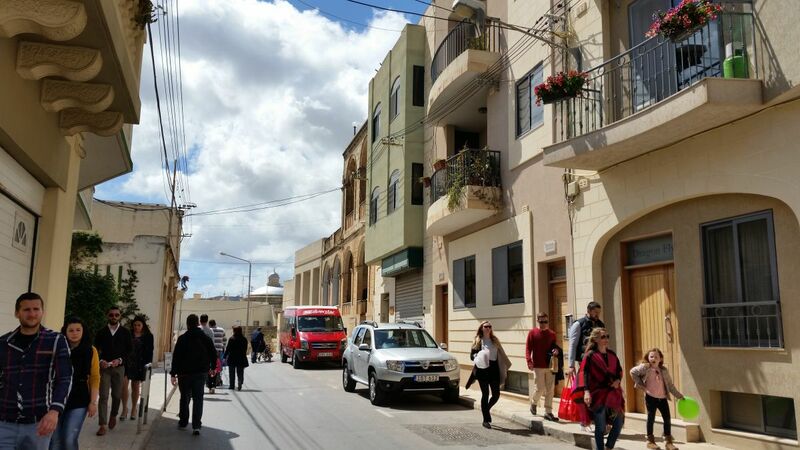 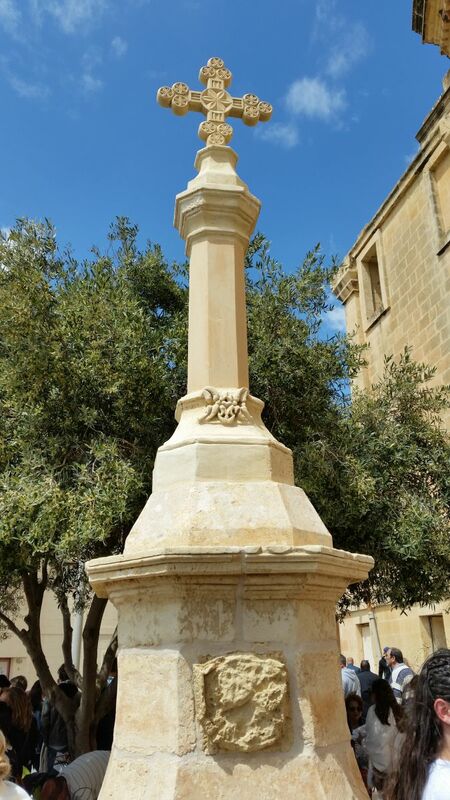 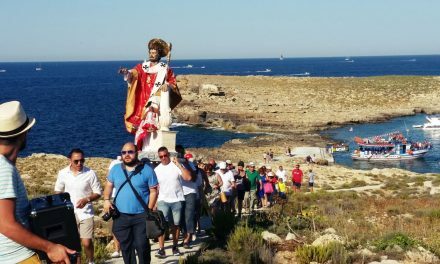 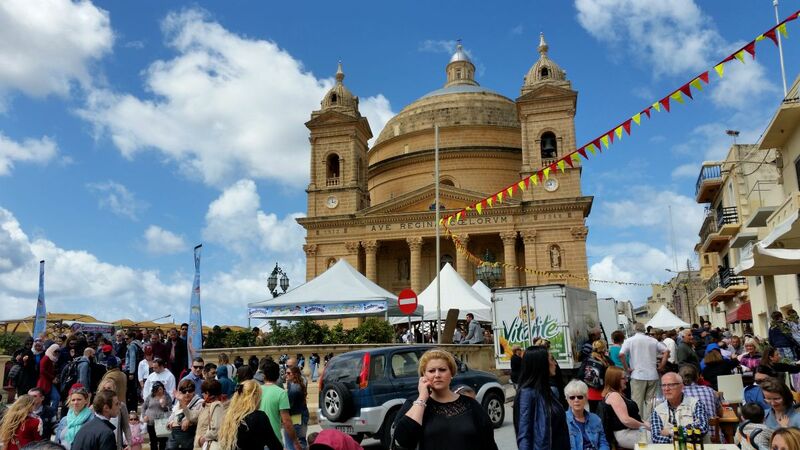 We enjoyed the Maltese Olive Oil in Zejtun (click here) and the Potatoes in Qrendi (click here), now how about the Strawberries in Mgarr? 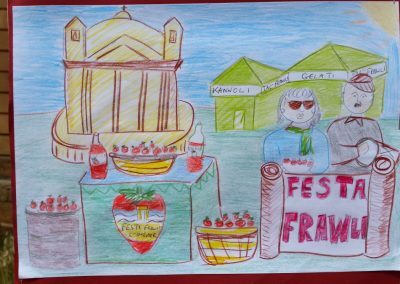 Well, I did a bit of reaserch on the web and I discovered that strawberries are very old. 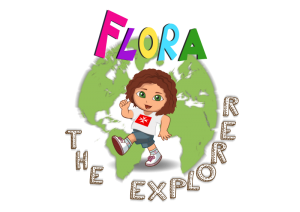 There were in the bushes of the Neolitic woods around 10.000 years ago! 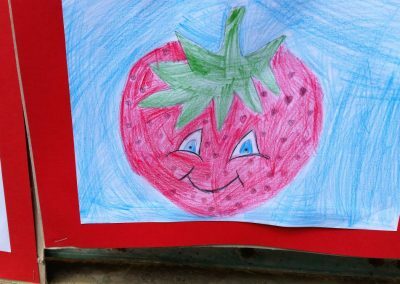 Strawberries are of different varieties, the European one that was consumed in the Romans tables, 2000 years ago, was the wild one. 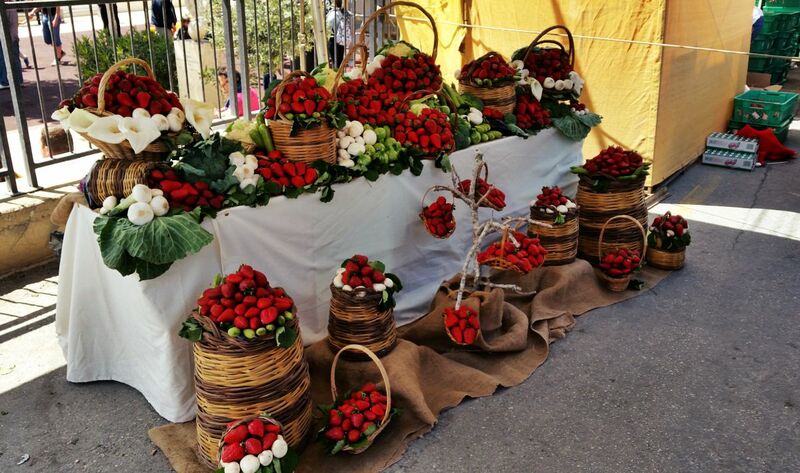 The Romans used to call the plant “Fragaria Vesca” that means “soft fragrance” as its fruits, small and delicate. 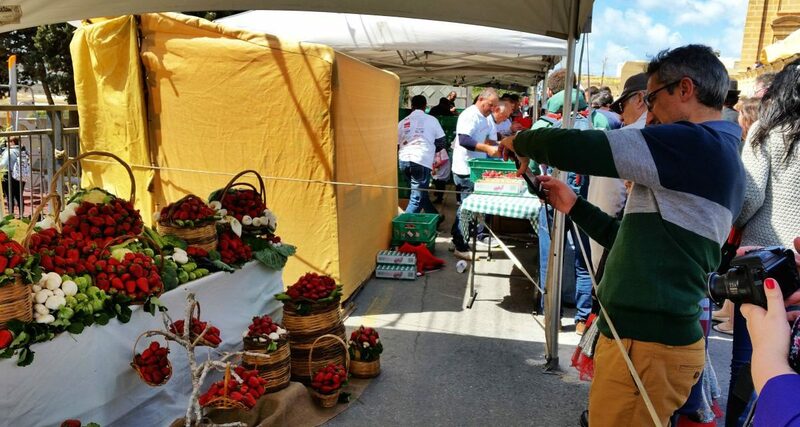 The big version of the strawberry that we consume today is the “Fragaria per Ananassa“, a result of the cross between the American species with the Chilean in 1766, when the intensive crops starded. 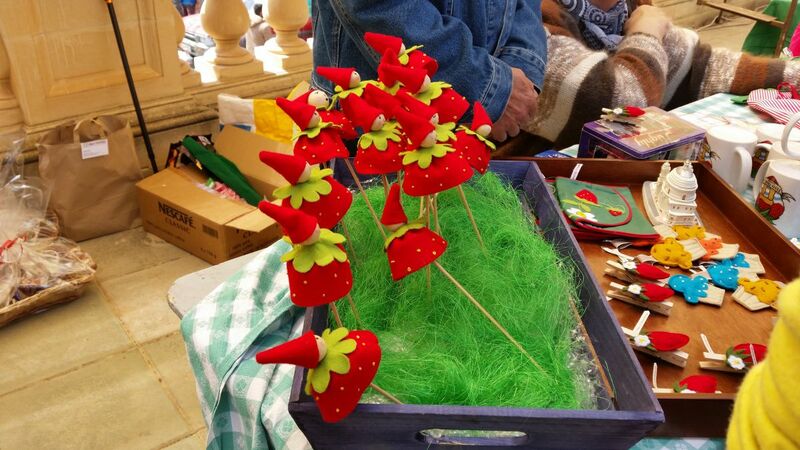 Apparently King Louis XIV loved them and made them grow in his gardens of Versailles. 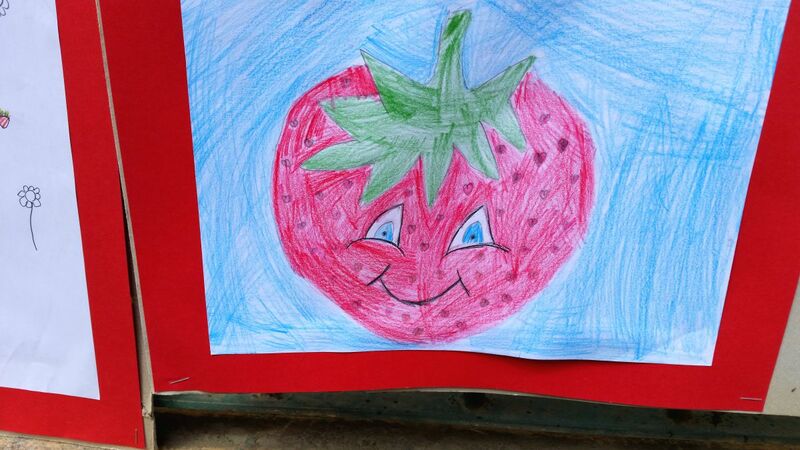 A legend referres to the strawberries as the tears of the Goddess Venus. 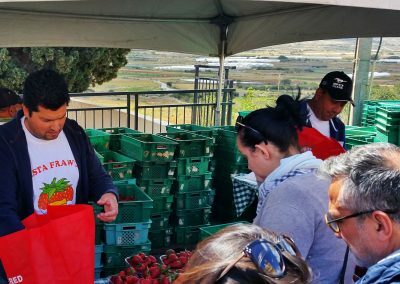 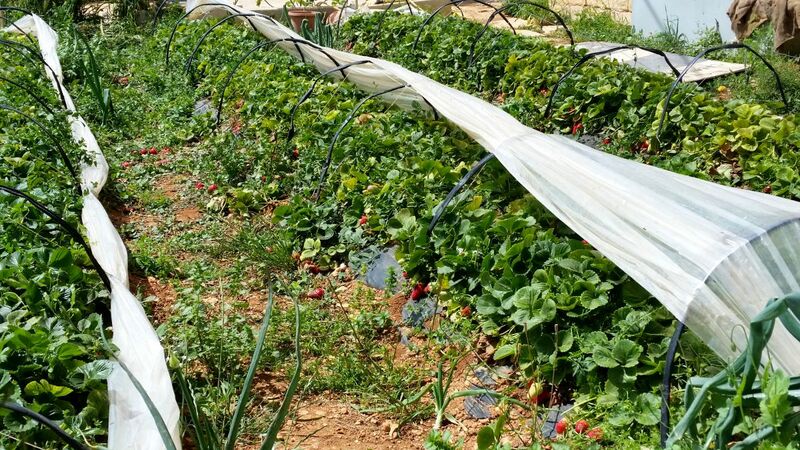 Anyway, Kings or Gods, old or young we all love strawberries and luckly here in Malta, in the Mgarr (Imġarr) fields, there is an estensive coltivation of this red and juicy fruits, great in taste and rich in Vitamine C! 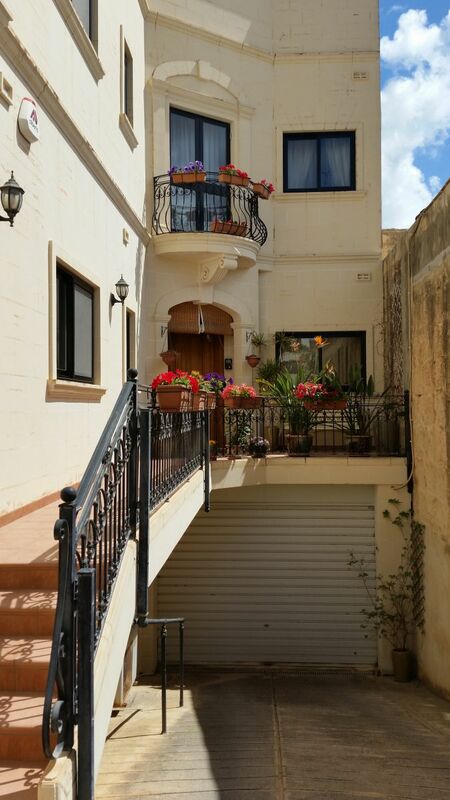 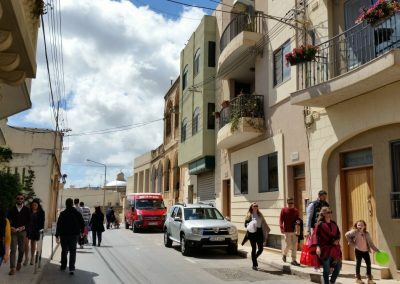 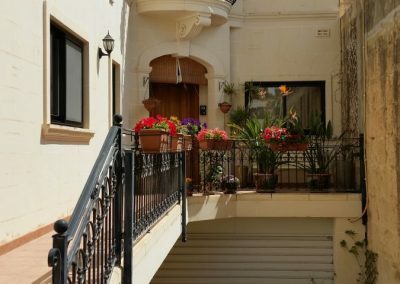 In fact, Mgarr, agricultural village of the North West of Malta, is renowned for the quality and unique taste of its strawberries. 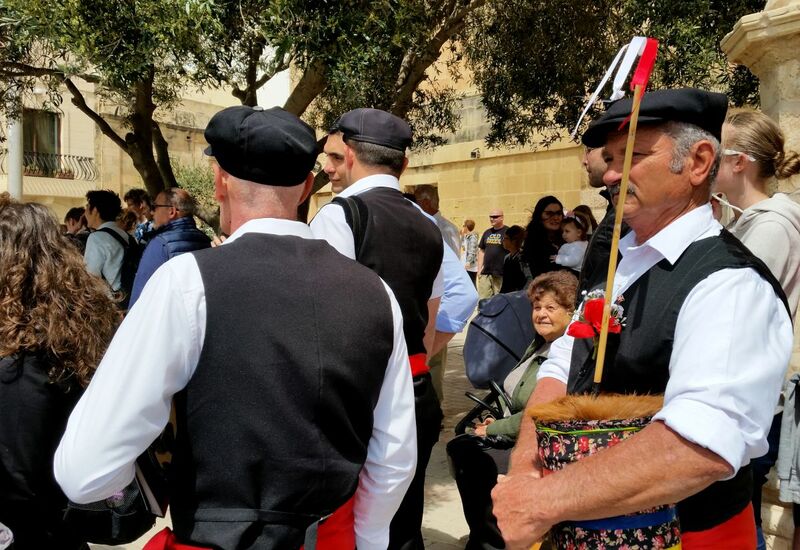 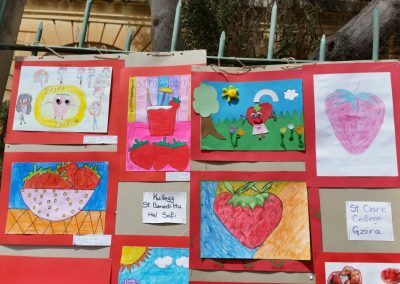 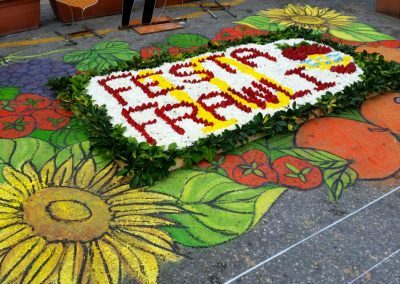 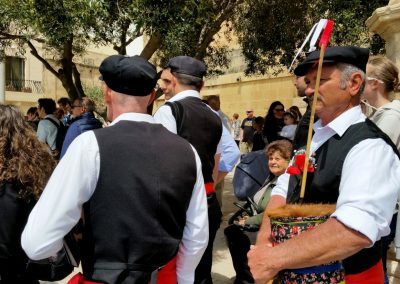 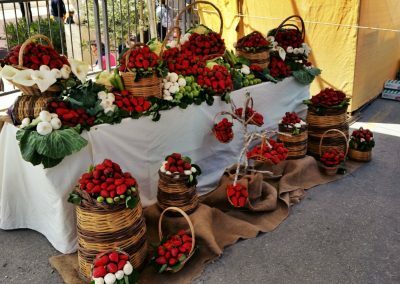 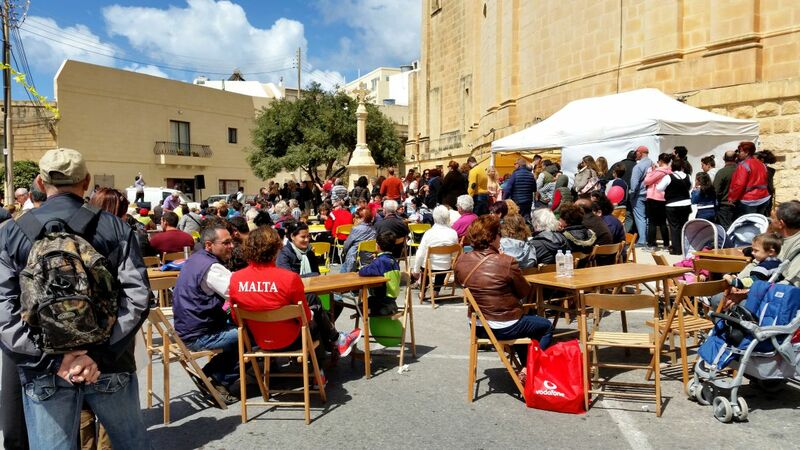 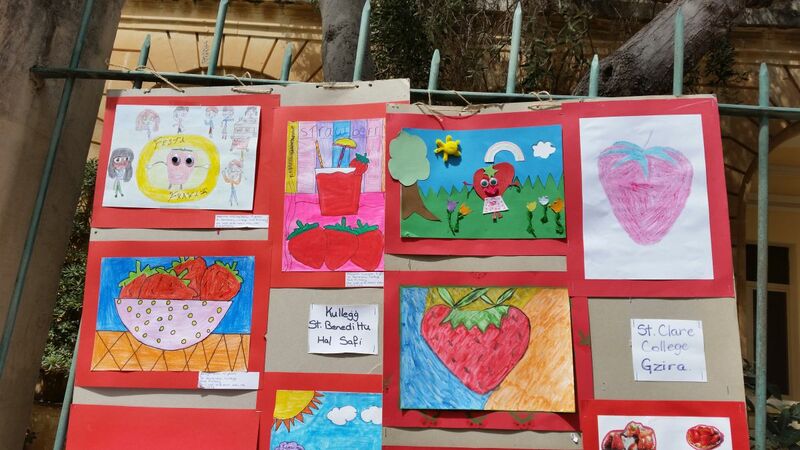 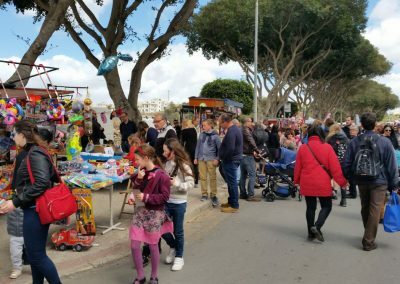 The Strawberry Feast or in Maltese, Festa Frawli, is held every year in Mgarr usually in April (this year on the 7th of April 2019), when the fields are fully bloomed with these delicious fruits. 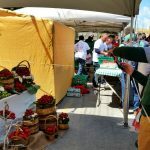 The village square is swarming with people from all over the island like the bees on the strawberries flowers! 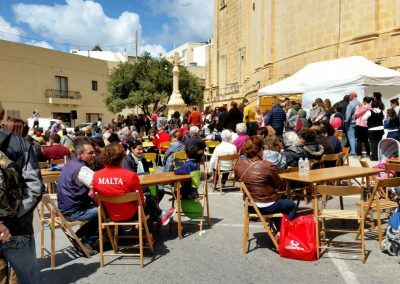 If you have in mind to come to the feast may I suggest to come early in the morning or you will find yourself trapped in the crowd! 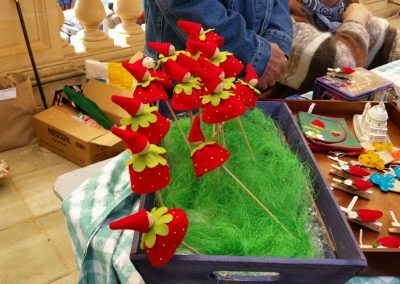 Even if it is quite impossible to walk around, locals seems not really disturb by the multitude of people looking for strawberries. 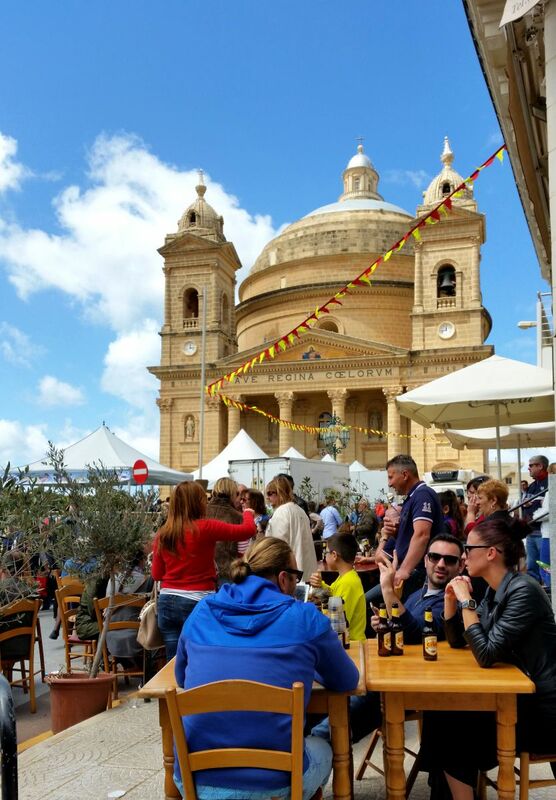 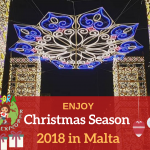 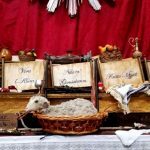 There is always a little space to enjoy a drink together and probably the National dish, the Maltese Rabbit. 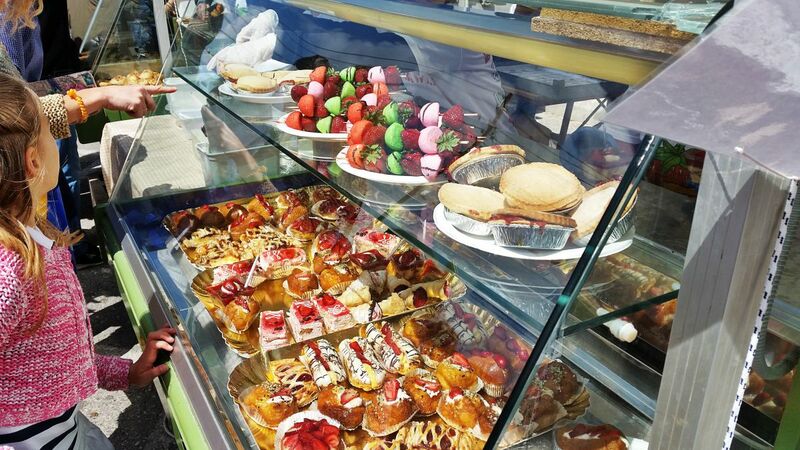 I actually enjoyed a lot the sweets and the cakes, as I have a sweet tooth, for me they were a super attraction! 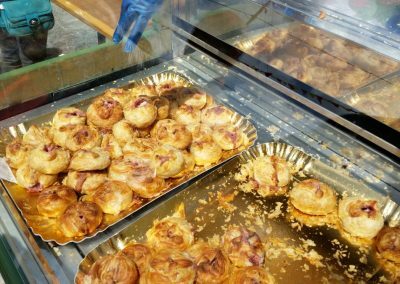 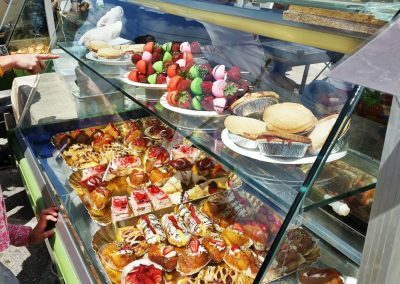 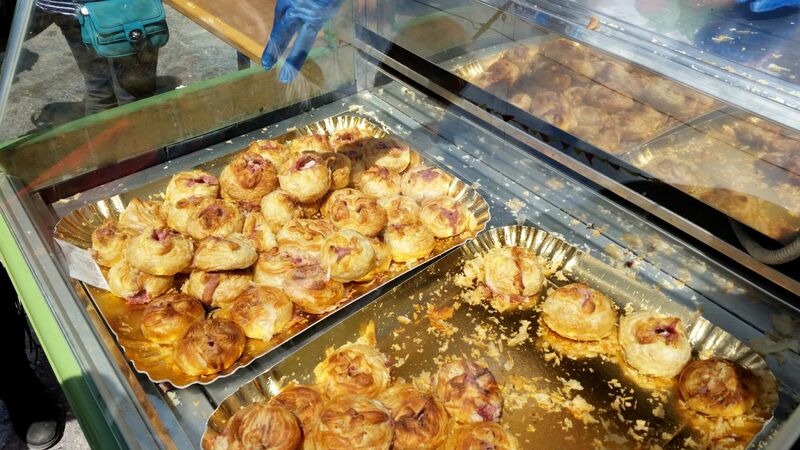 I also found one of the other typical Maltese food, or better a street food, the “Pastizzi” nicely filled with… Strawberries, instead that ricotta. 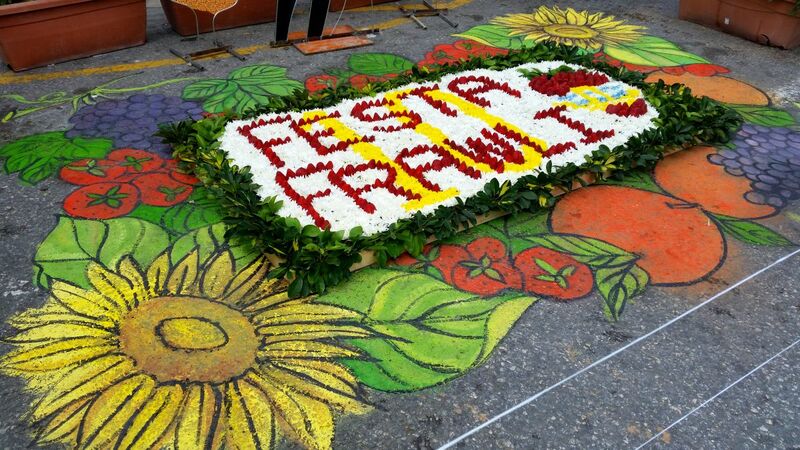 Very nice!!! 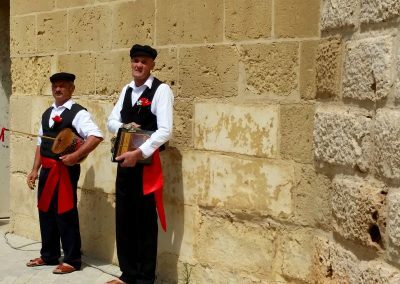 I also enjoyed the lively entertainmet all around the Parish Church dedicated to the Assumption of the Blessed Virgin Mary. 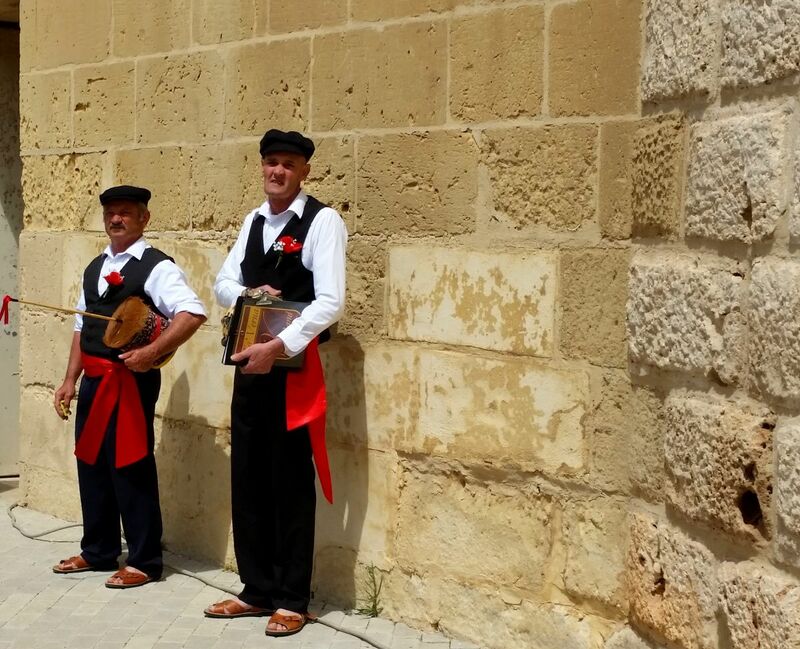 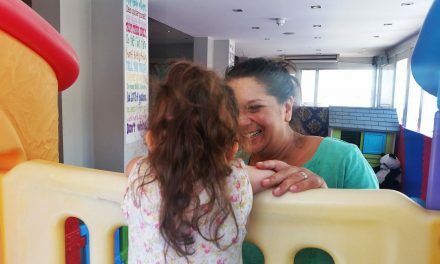 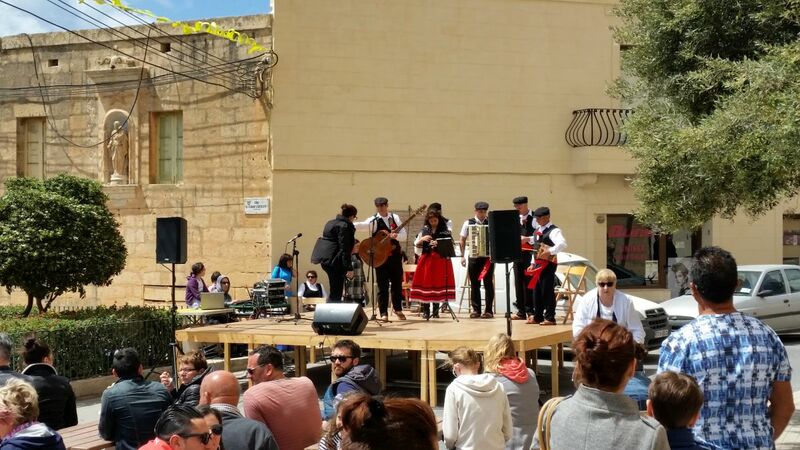 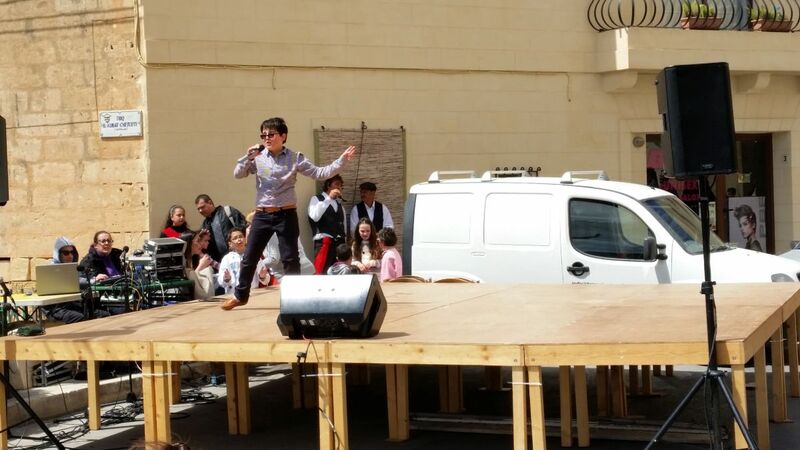 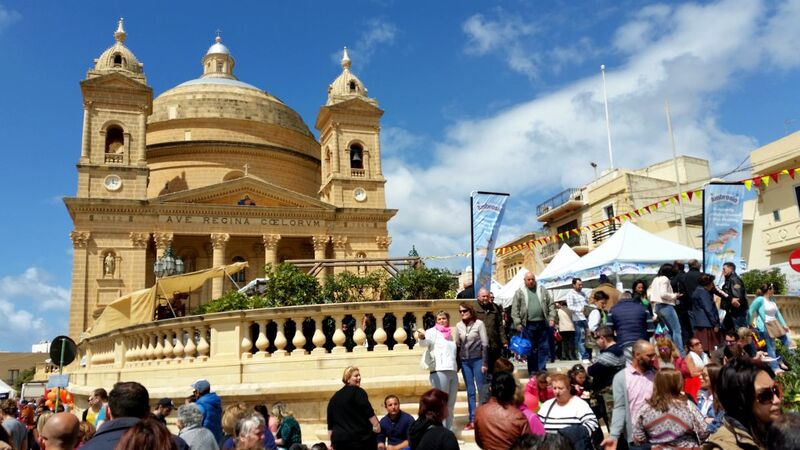 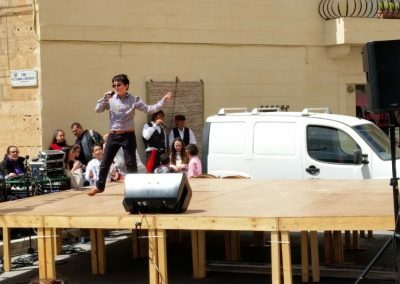 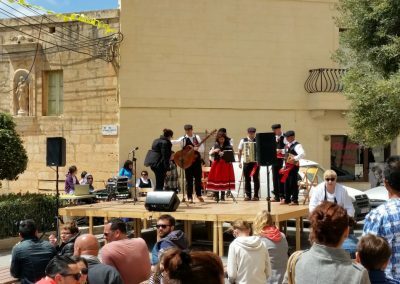 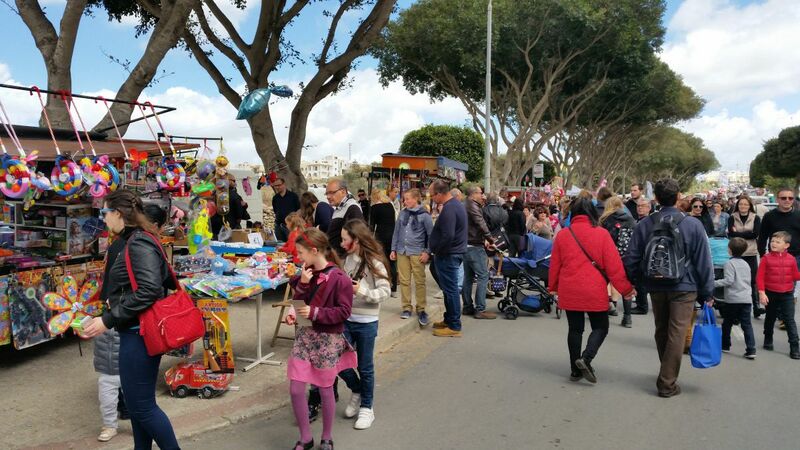 Traditional Maltese folk music and super as well as very confident little singers enchanted the crowd! 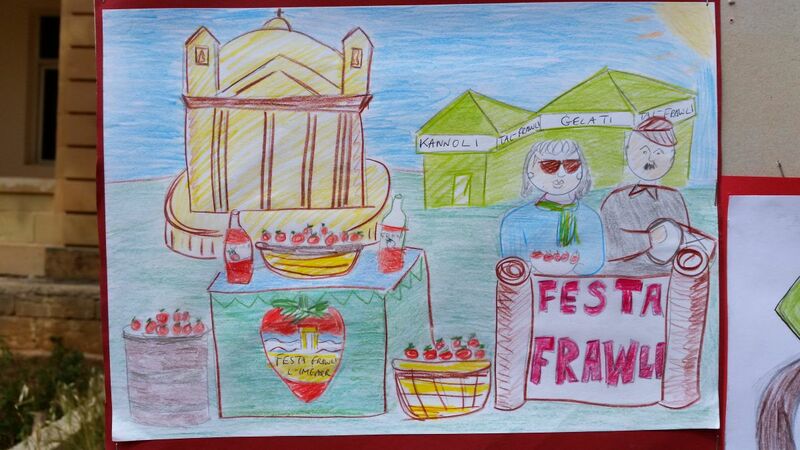 The Strawberries Feast is definitely an enjoyment for all the family!